Homestead National Monument was a pit stop for solar-powered vehicles on Thursday, serving as one of nine designated stops for the American Solar Challenge. The challenge is a collegiate competition in which students are traveling 1,975 miles from Ohio to South Dakota in personally designed solar cars. 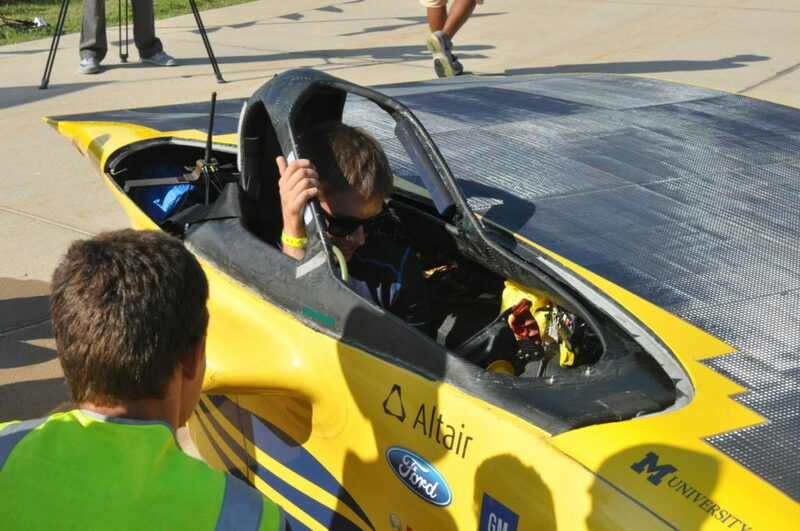 The University of Michigan was the first team in and the first team out at Homestead on Thursday morning and appeared to be favorites to win the American Solar Challenge. Continue reading. This entry was posted in Nebraska / Midwest News, NewsBlog, Solar Energy Education and tagged American Solar Challenge, Beatrice Daily Sun, Nebraskans for Solar on August 4, 2016 by Helen Deffenbacher.